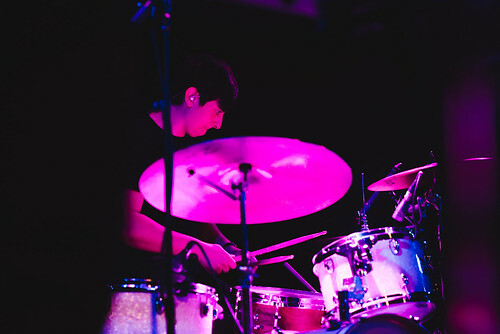 There was a palpable moment of anticipation in the crowd right before Mitski Miyawaki hit the most pivotal D chord in the evening, the one that kickstarts the massive chorus of "Your Best American Girl", song-of-the-year candidate and the track pushed the Brooklyn musician's buzz from slight rumbling to deafening. And when the audience was embracing for that huge, heart-crushingly distorted chorus - it didn't come, at least not in the way they expected. Her guitar and voice at the same volume and intensity as they were during the preceding verse - direct, yet quiet - the chorus washed over the crowd with a subtle magnitude, making up for what it lacked in punch with a disarming sublimeness. 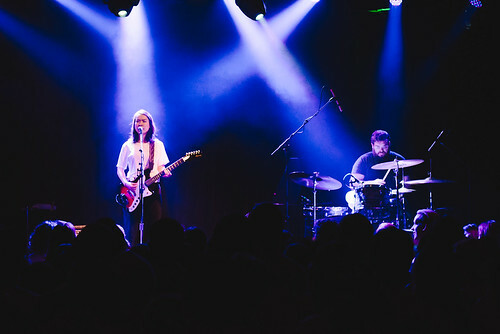 In the midst of a sold-out tour and a tidal wave of critical acclaim, Mitski doesn't seem the least bit interested in adapting her stage show to the bigger stages she's already inheriting. 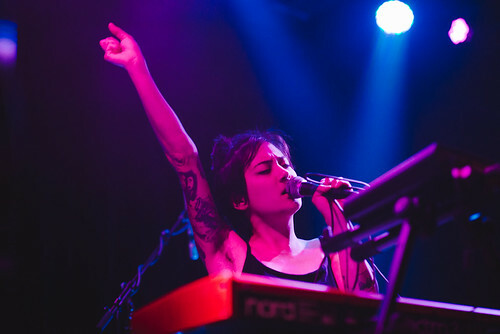 However, her stoic, spartan performance at the Crocodile was striking in its own way, a bold choice by an artist who seems intent on ensuring that her truth never comes second to the performance. Thematically speaking, the tour's bill of Mitski/Japanese Breakfast/Jay Som is about as on point of a lineup as any tour will have this year. The lattermost of the three was up first, with the San Francisco songwriter born Melina Duterte briskly performing a handful of songs while laying out her reflections with nothing more than an electric guitar to back her up. 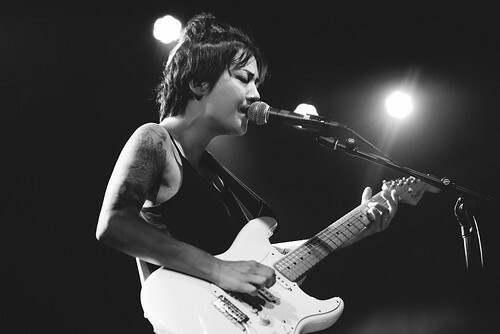 While Duterte is just starting to get attention a few years after recording, the bill's middle act, Japanese Breakfast are on the cusp of breaking into something much bigger. Michelle Zauner and co. are essentially in the same spot Mitski was in a year ago: solid, but not hyperbolic, critical marks for their current full length, Psychopomp, and a deal from Dead Oceans that will ensure the next full length has plenty of push behind it. Judging from their stunning 30 minute set, they know they're expected by more than a few people to be increasing their profile in the near future, and they delivered on that. 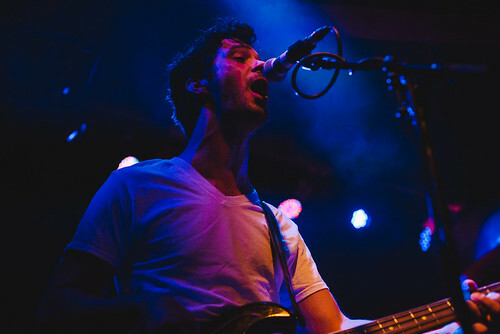 Impressively replicating the album's dense, colorful production with only three musicians, Zauner is a talented musician and perhaps an even more striking frontwoman, vibrantly showing off the bona fides she honed in the Philadelphia rock outfit Little Big League as she precariously walked along the Crocodile's all-ages-separating rail during the band's finale. But as impressive as both acts were, there wasn't any question who the crowd - who couldn't have been older than 20 on average - was there to see. 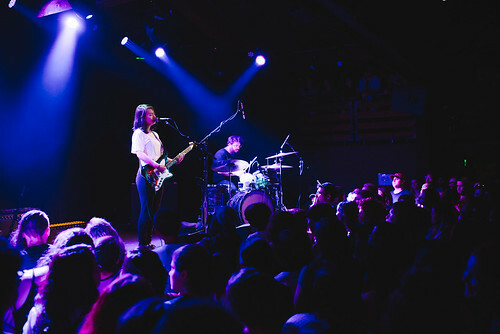 Mitski played her first Seattle gig almost exactly a year ago at El Corazon, which was well attended, but that venue's box office wasn't turning people away. Furthermore, business at the bar at the Crocodile was as slow as this writer has seen any venue bar in ages: those in attendance weren't there to drink or be seen or to catch Pokémon (exclusively anyway, as there was plenty of that in between sets) - they were there to see Mitski, who they treated with a quiet reverence rarely seen at gigs that aren't at coffee houses, recital halls, or living rooms. 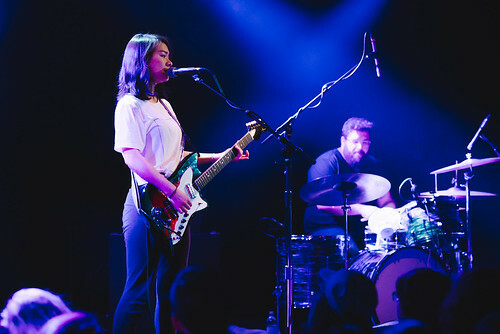 For her part, Mitski played a show that, dynamically speaking, wouldn't have felt out of place at any of those venues. 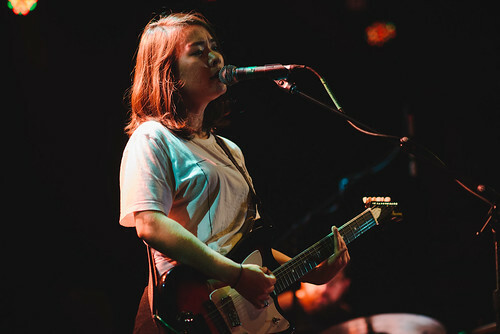 Backed only by a drummer and playing a set that leaned heavily on her previous album, 2014's stellar Bury Me at Makeout Creek, Mitski's 40-ish minutes onstage didn't bear much similarity to Puberty 2, her fourth and most recent album that's propelled her to be one of, if not the, critical darlings of 2016. 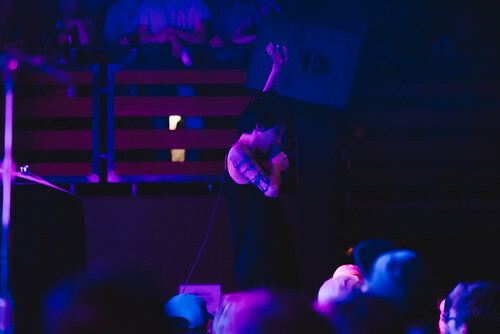 But, to be frank, it didn't seem like the crowd cared all that much what the setlist was or that Mitski was playing the songs in what essentially amounted to solo arrangements: they were there to see hear whatever songs she was going to play at whatever format they were going to get from their sad queen. 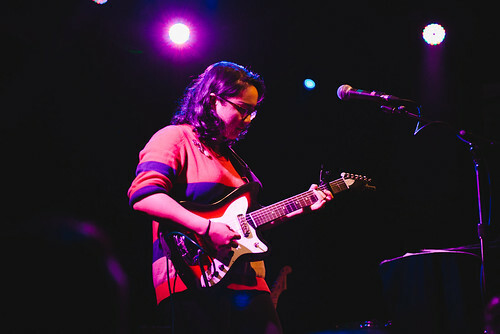 Although she wasn't particularly talkative (she was, however, very gracious to the numerous people in front declaring their love for her), Mitski was completely focused, giving "Thursday Girl", "Once More To See You", and the other songs in her set the emotional gravity that's come to define her music. Every song felt heavy, quiet not because it lacked punch because For those expecting fireworks (either the song of the same name or any sort of stage spectacle), this show very well could have been a disappointment. 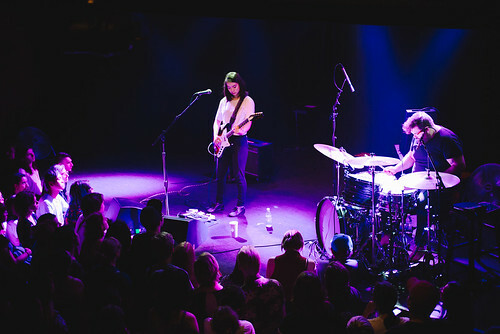 A mixed review of her show a few days in Denver from the city's alt-weekly would later call her presence "disengaged," but as Mitski herself pointed out, she wasn't aiming to please anyone. "I try to give something real. What is real to me isn't a flowery show of love to people I've never met," she explained on Twitter. To say that the show wasn't as accessible as one would expect from a rising star might be fair, but the crowd's fixation showed that there are already plenty of initiates in the church of Mitski. 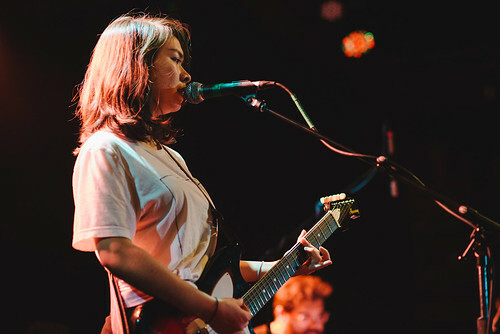 Whether she changes her show to adapt to the bigger (read: festival) stages that she's surely getting offers to play is unclear, but for the time being, Mitski's Crocodile performance was a showcase for both the completely engrossing experience Mitski was willing to give to those who were willing to follow her down her musical rabbit hole and the rapt, young audience that she's already cultivated in a relatively short timespan.